First professor of the Deep History and Archaeology of Africa! Professor Paul Lane has been appointed as the inaugural Jennifer Ward Oppenheimer Professor of the Deep History and Archaeology of Africa. “Thanks to the extraordinary generosity of the Jonathan and Jennifer Oppenheimer Foundation we are delighted to announce Professor Paul Lane as the inaugural Jennifer Ward Oppenheimer Professor of the Deep History and Archaeology of Africa,” said Professor Cyprian Broodbank, Head of the Department of Archaeology, University of Cambridge. Professor Lane was the Director of the British Institute in Eastern Africa, based in Nairobi, for eight years from 1998-2006, directed and coordinated the Historical Ecologies of East African Landscapes project at the University of York and has been the Professor of Global Archaeology at Uppsala University since 2013. 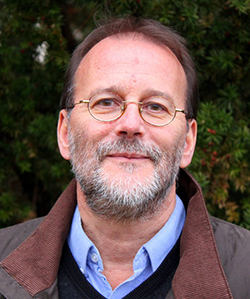 His main research interests are in the organisation and use of space and time in pre-industrial societies, the historical ecology of African landscapes, the archaeology of colonial encounters, cultural perceptions of place, the materialisation of memory, maritime archaeology and the transition to farming in Africa. It is envisaged Professor Lane will also be named the Mandela Magdalene Memorial Fellow at Magdalene College in memory of Nelson Mandela, who was an Honorary Fellow of the College. Magdalene College has a proud tradition of association with Africa and this Fellowship will ensure the Professor joins a vibrant community of scholars and students undertaking research across the continent’s varied history and present. Professor Lane will be able to take up the post in the Department of Archaeology later in 2018.